Is U.S. District Judge Scheindlin’s Removal a Question of Judges’ First Amendment Rights? “It’s impossible to figure out exactly what the judge did wrong,” University of Pennsylvania Law Professor Kermit Roosevelt says, discussing Federal District Court Judge Shira Scheindlin’s removal from Floyd, et al. v. The City of New York, known as the “stop-and-frisk” case. The 2nd U.S. Circuit Court of Appeals ruled the Judge “ran afoul” of the Code of Conduct for United States Judges given her participation in media interviews and by making public statements about the “stop and frisk” case. The 2nd Circuit’s ruling did not provide further detail or examples. 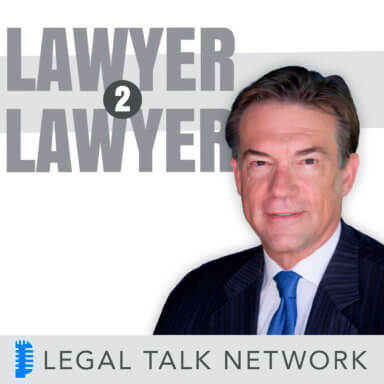 In this edition of Lawyer2Lawyer, your host J. Craig Williams invites Roosevelt to discuss Scheindlin’s removal, whether this action is a question of judge’s first amendment rights, and the possible outcomes of her appeal. Roosevelt is a professor at the University of Pennsylvania Law School. Working in a diverse range of fields, he focuses in constitutional law and conflict law. Professor Roosevelt was recently a part of a New York Times Room for Debate, discussing Scheindlin’s removal and what restrictions should be placed on judges. He has also served as a law clerk to Supreme Court Associate Justice David H. Souter and D.C. Circuit Court Judge Stephen F. Williams.